Never before available. 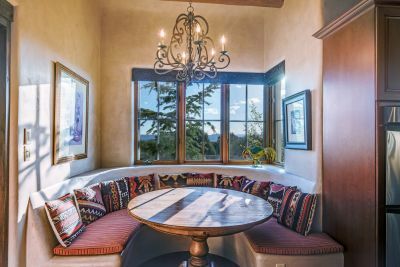 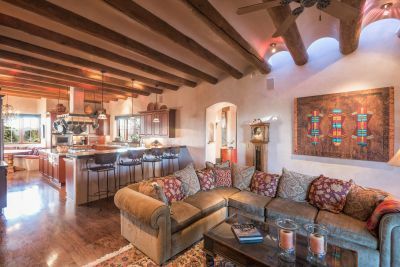 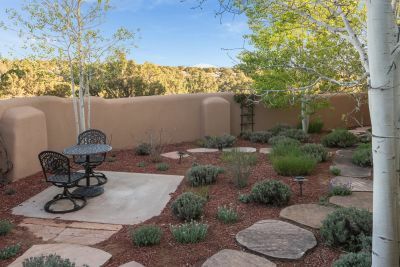 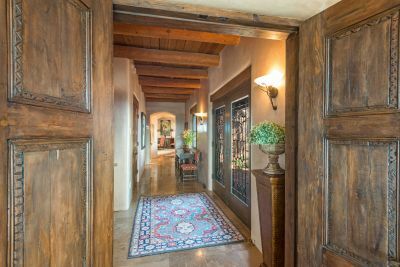 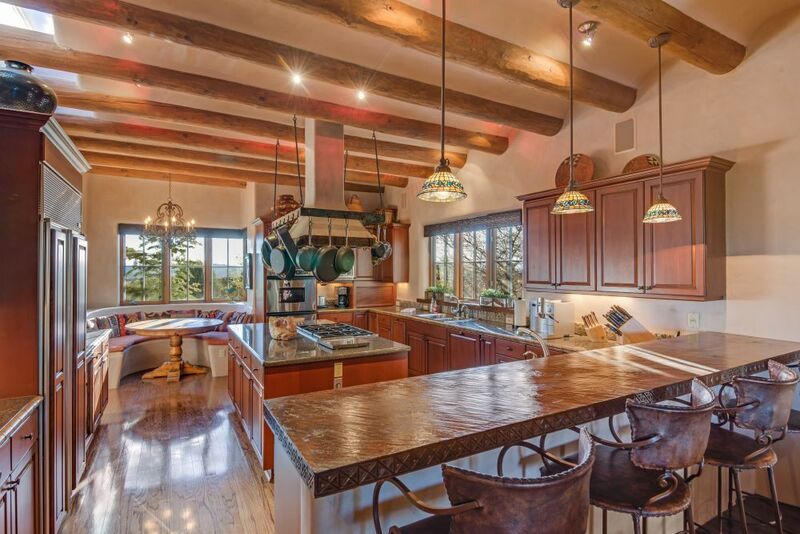 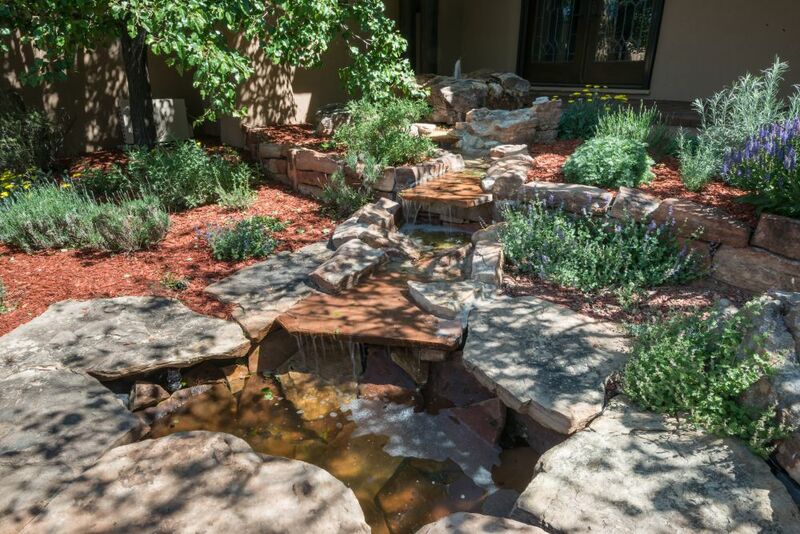 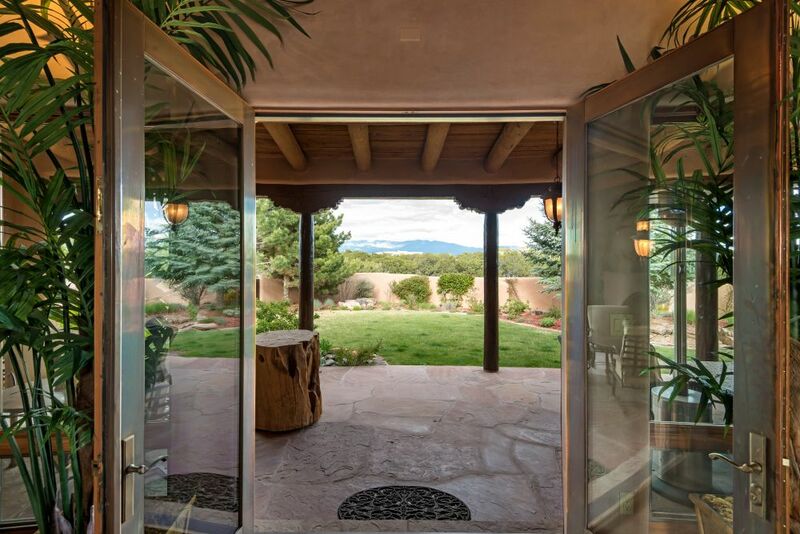 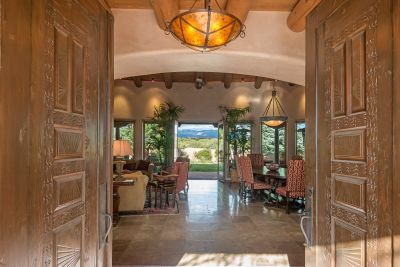 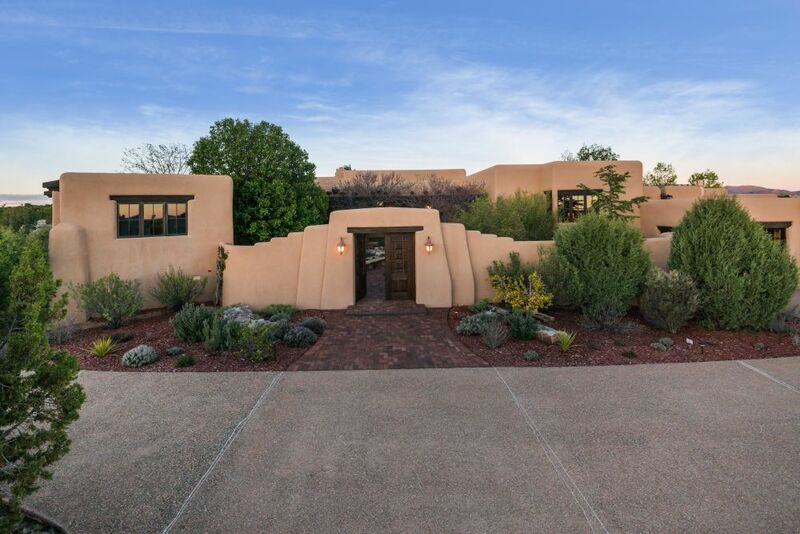 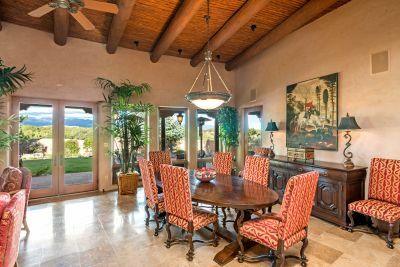 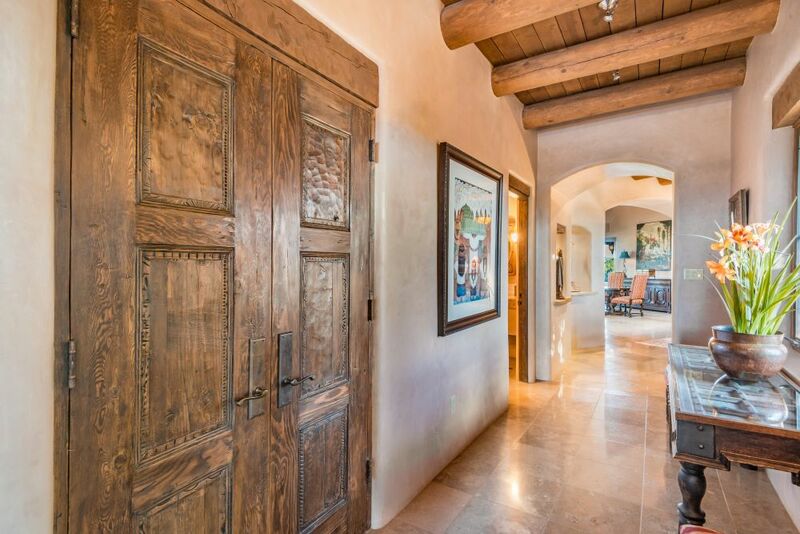 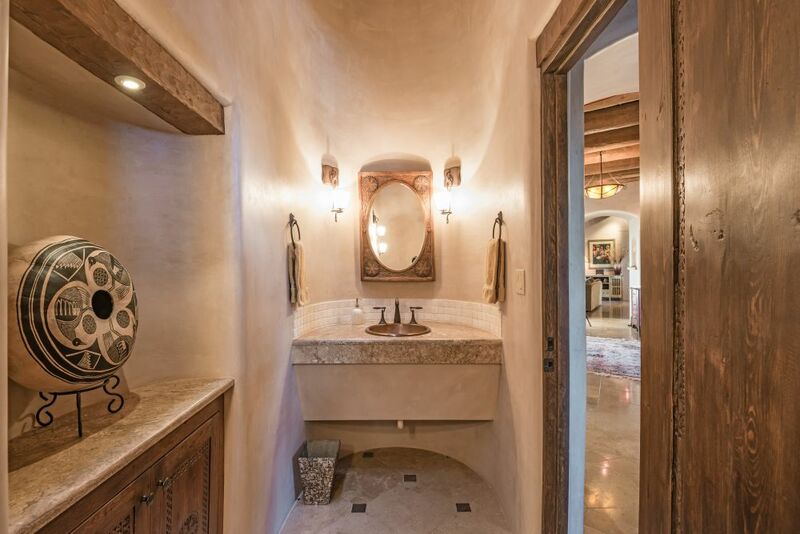 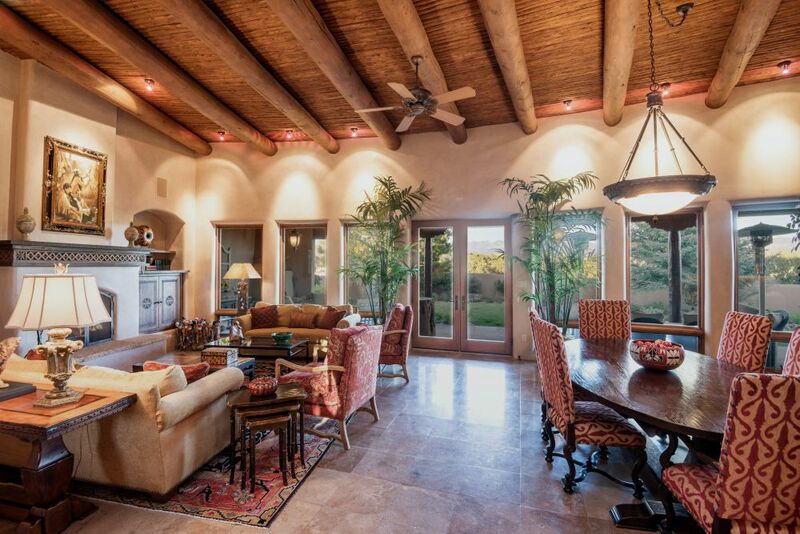 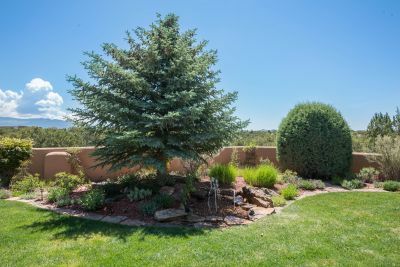 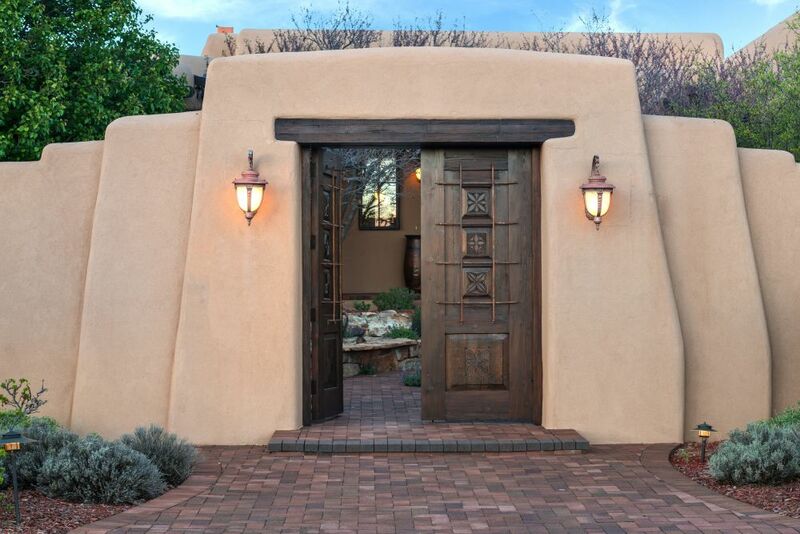 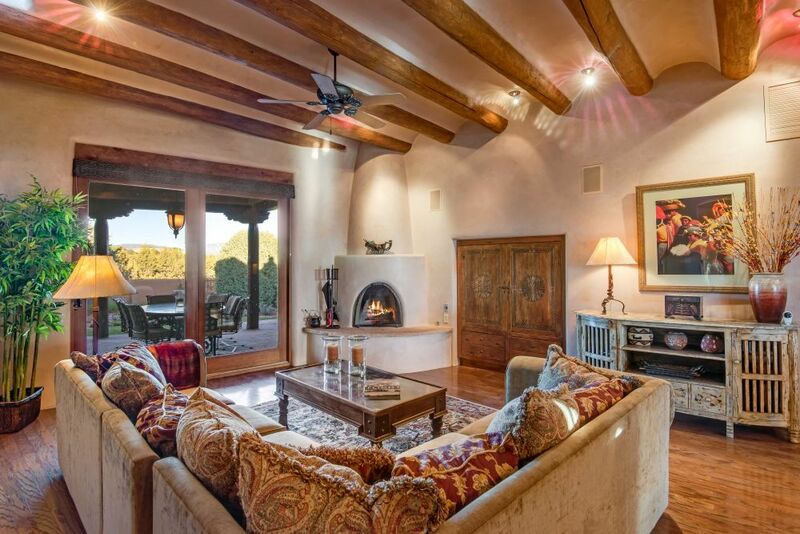 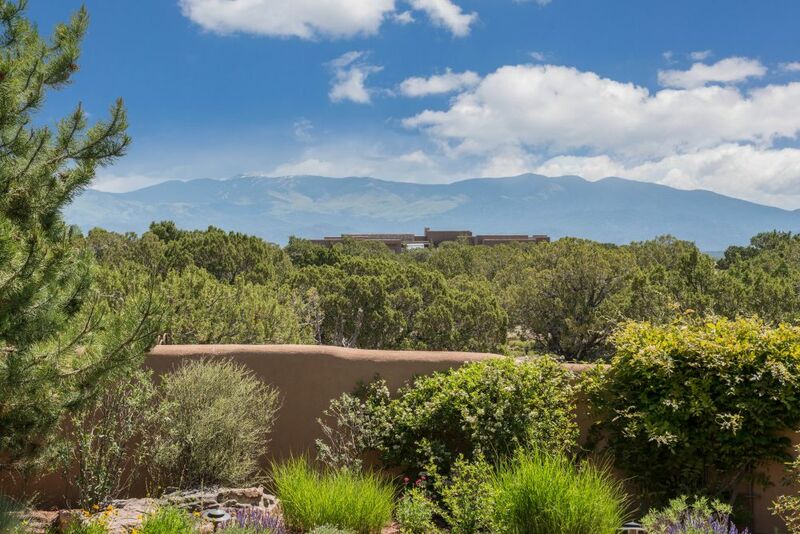 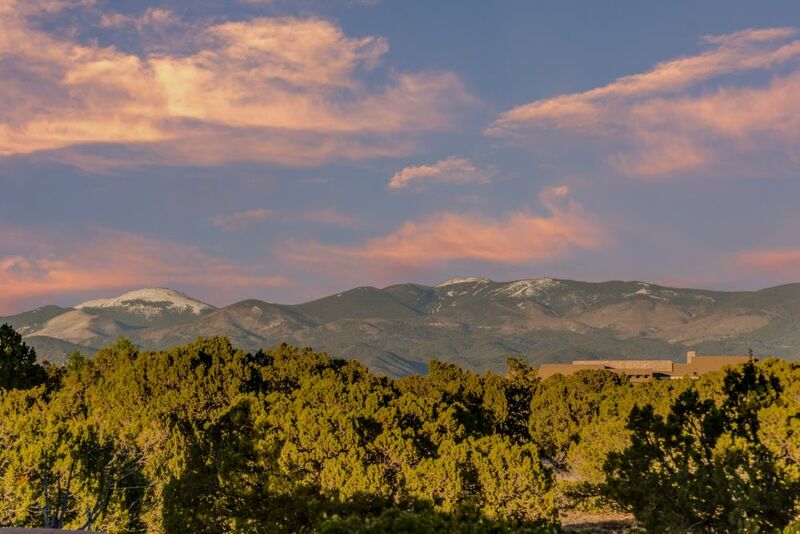 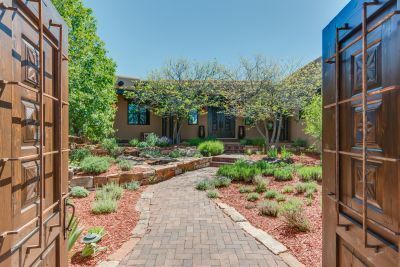 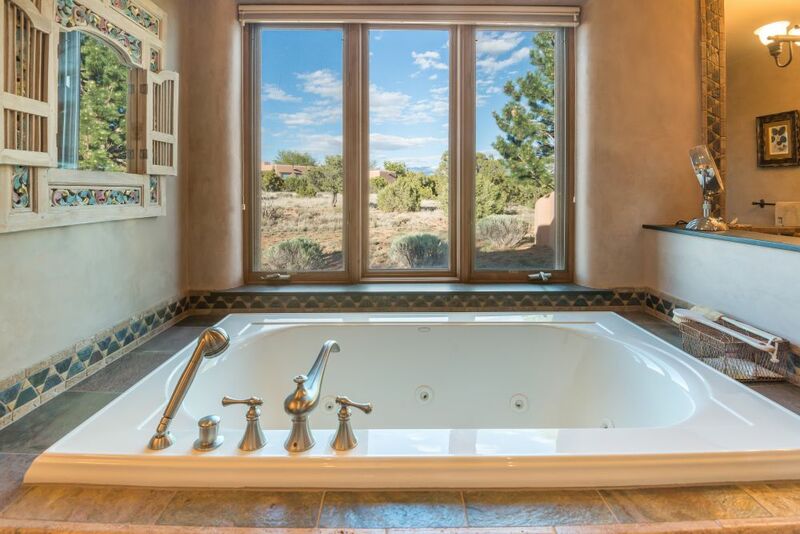 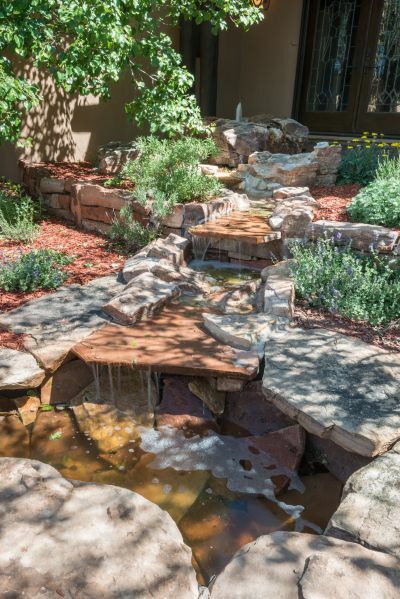 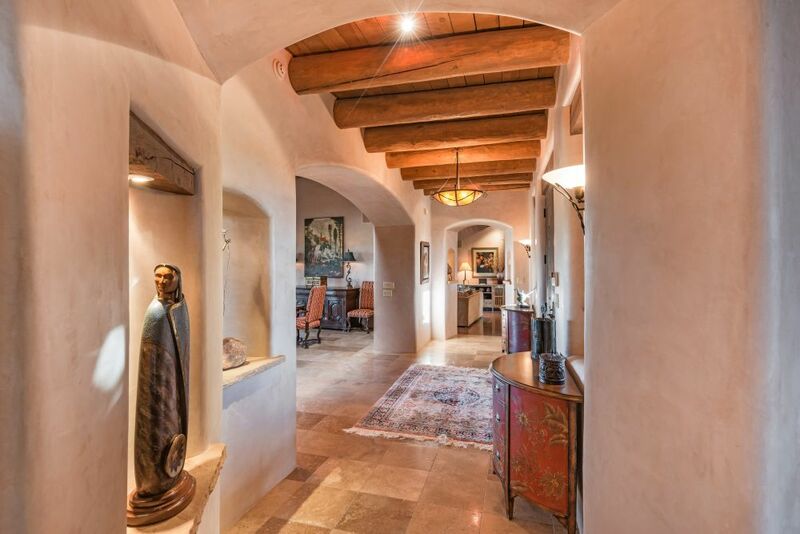 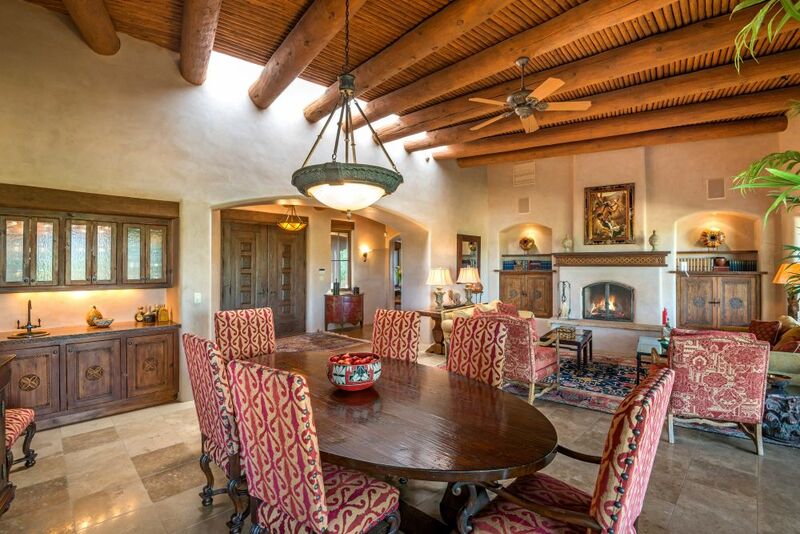 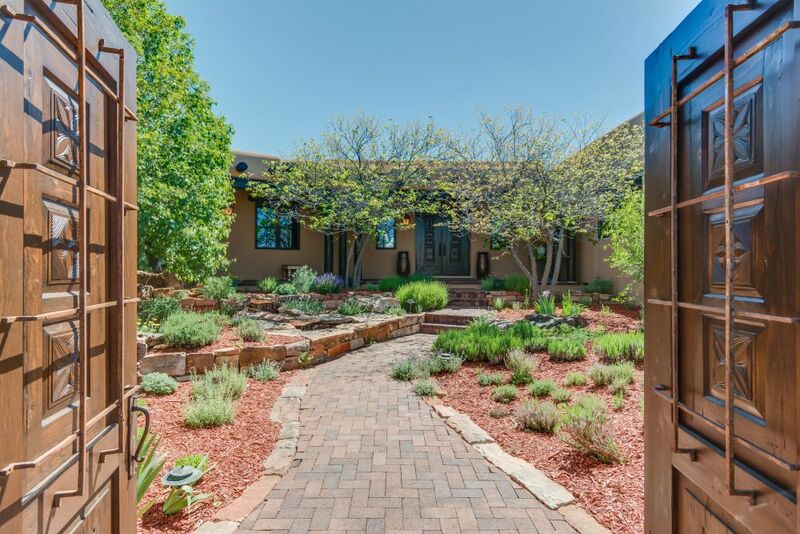 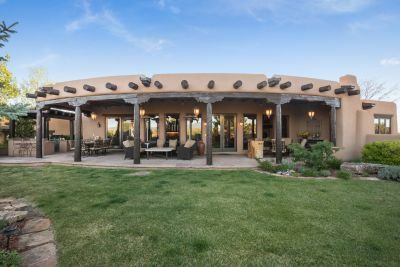 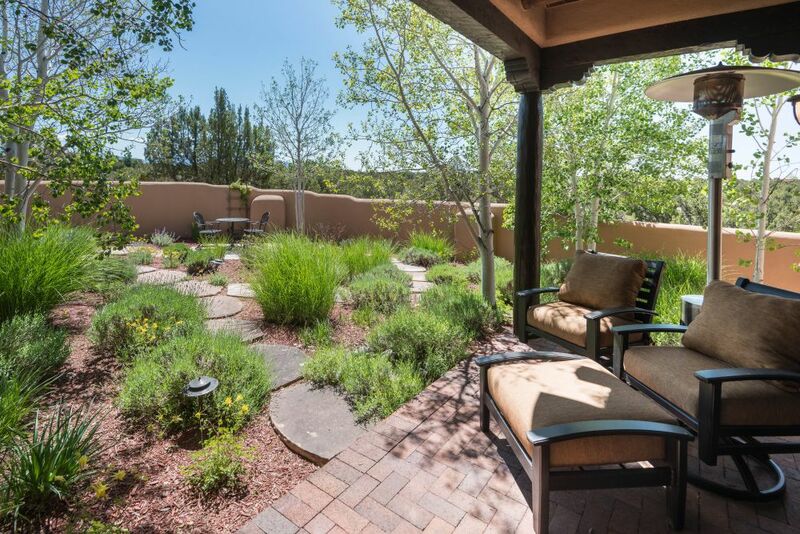 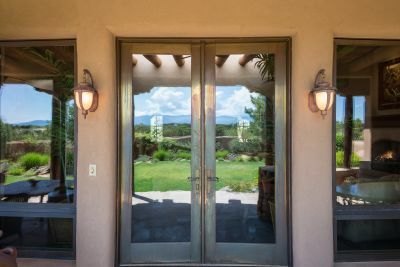 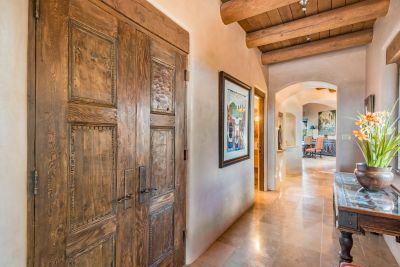 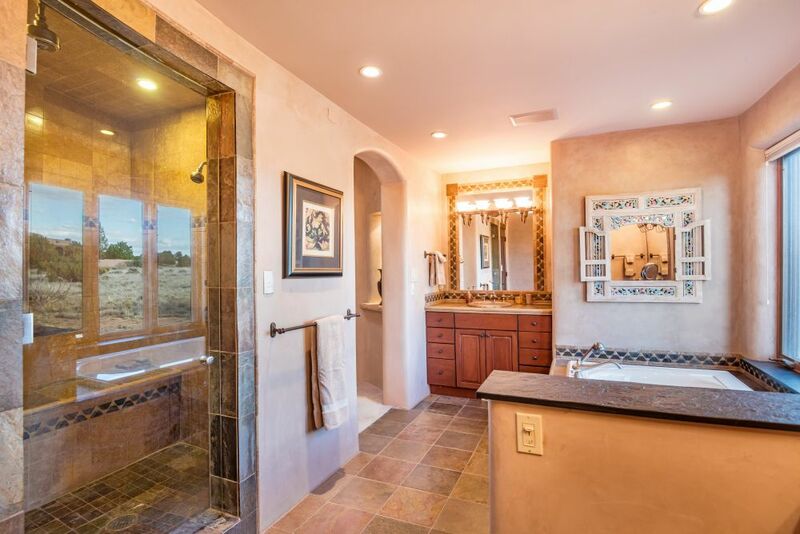 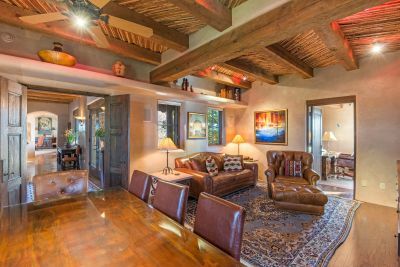 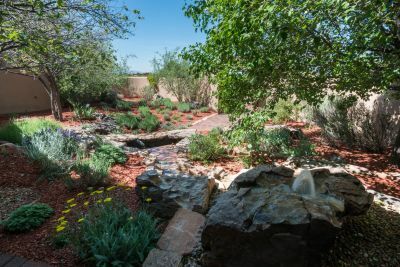 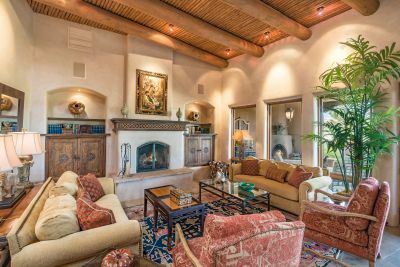 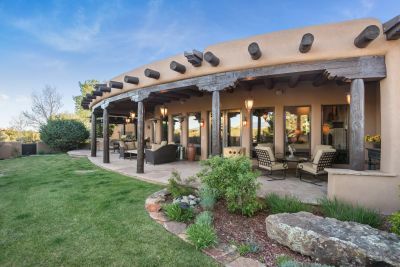 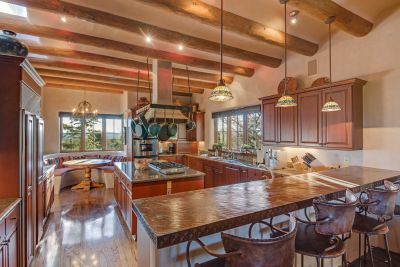 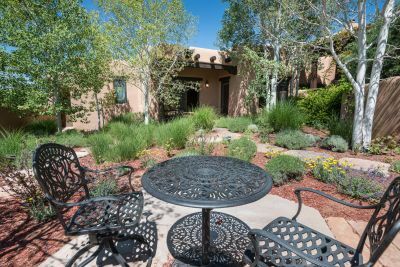 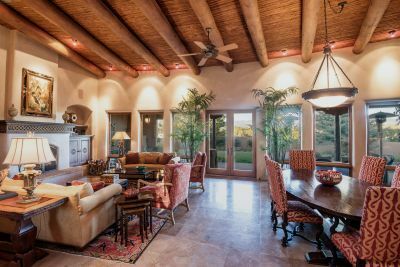 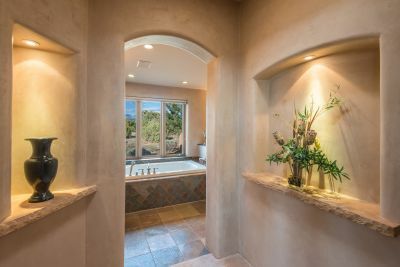 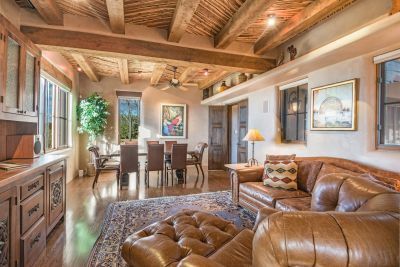 Stellar contemporary pueblo home sited on a spectacular 4 acre lot with sweeping Sangre de Cristo, Jemez, Sandia & Ortiz views. Custom built by Tierra Concepts to the owner&apos;s exacting high standards, the extraordinary quality & finishes are evident throughout, offering an enviable level of ease & luxury. 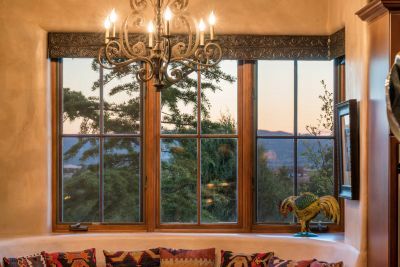 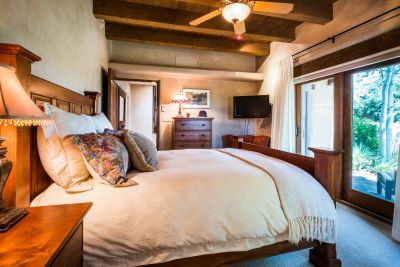 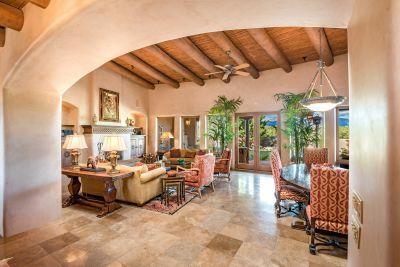 Featured are a splendid great room with banks of windows, & French doors to the grand portal, lush grounds & the magnificent Sangres. A gorgeous center island kitchen opens to family room with bar, entertainment center & grand portal access. 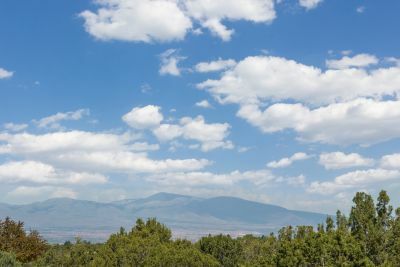 The superb master includes sitting area, generous fitted closet, spacious bath with steam shower, & mountain view portal. 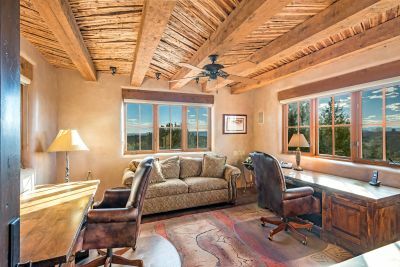 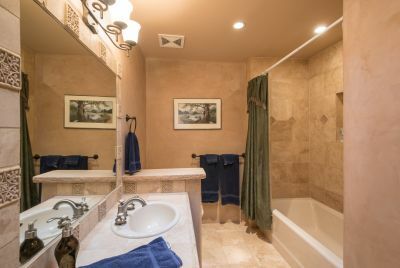 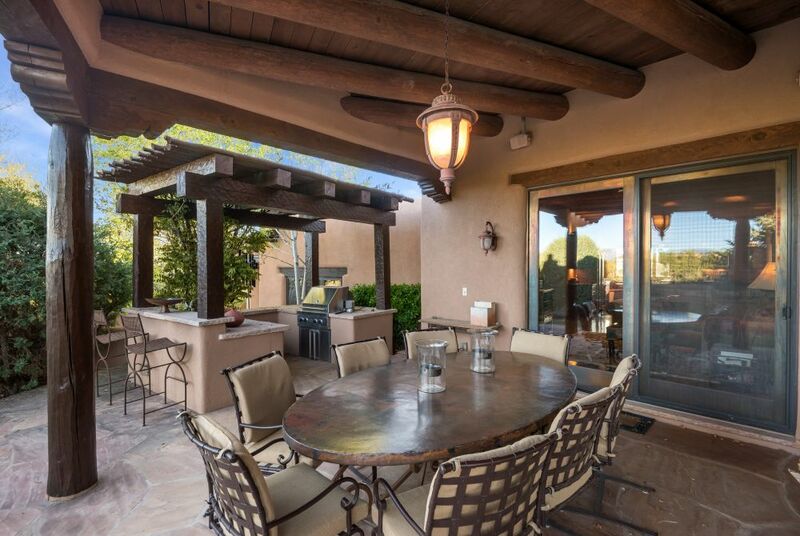 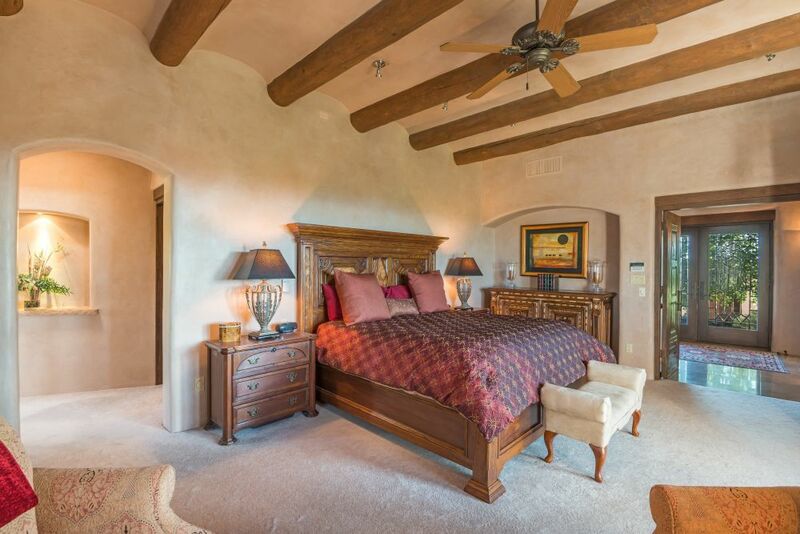 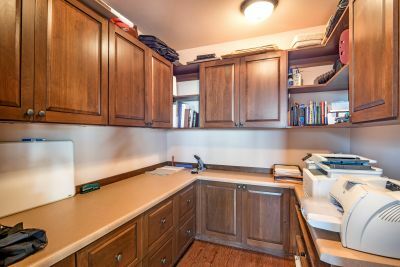 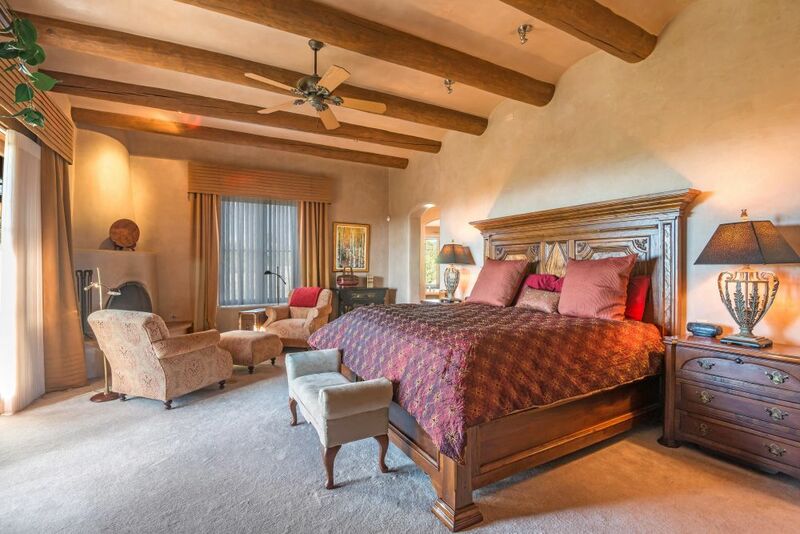 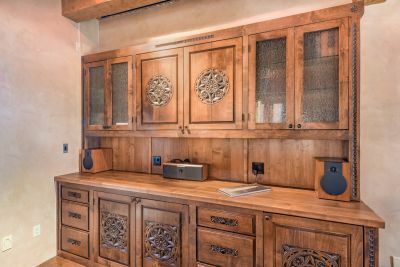 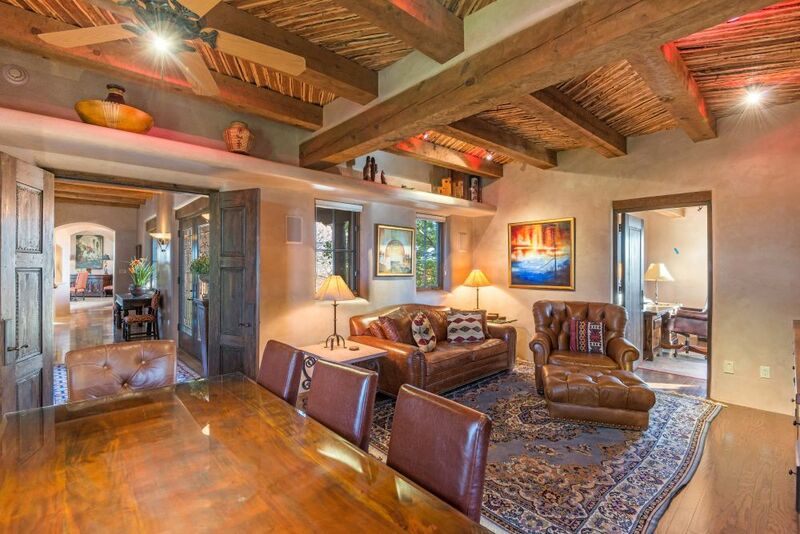 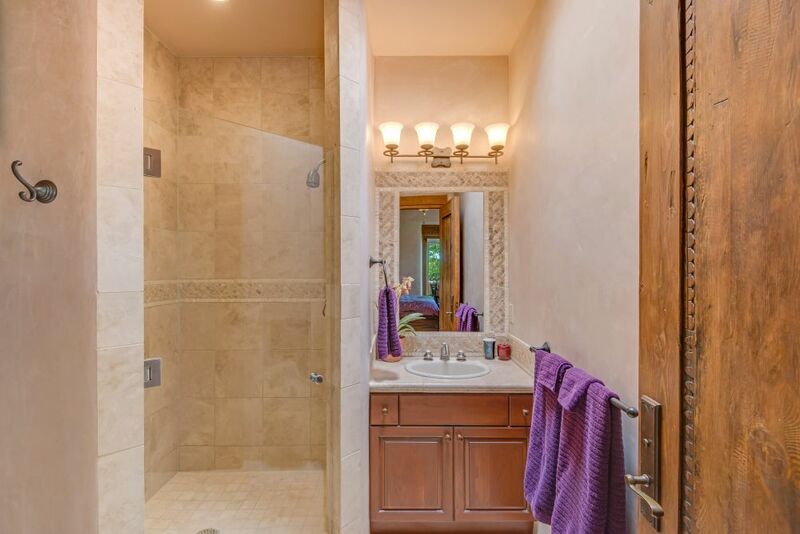 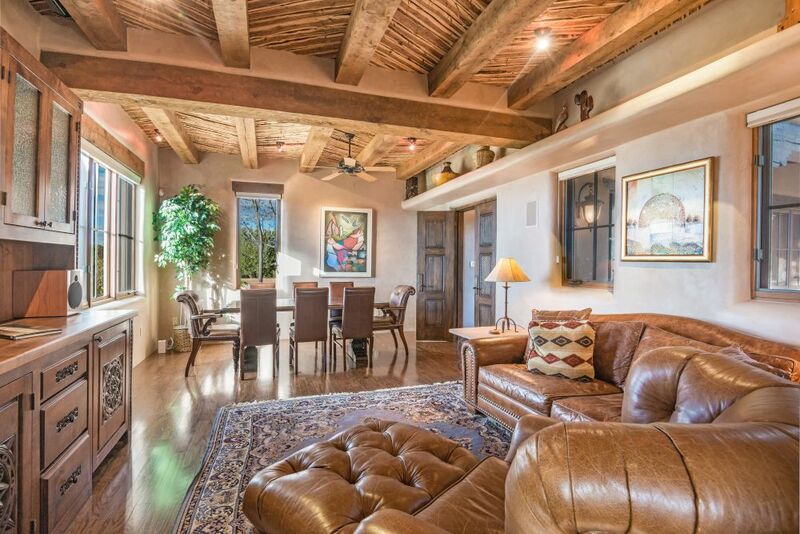 Featured are a marvelous study/media room, partners&apos; office, & 2 lovely guest suites with mountain vistas. 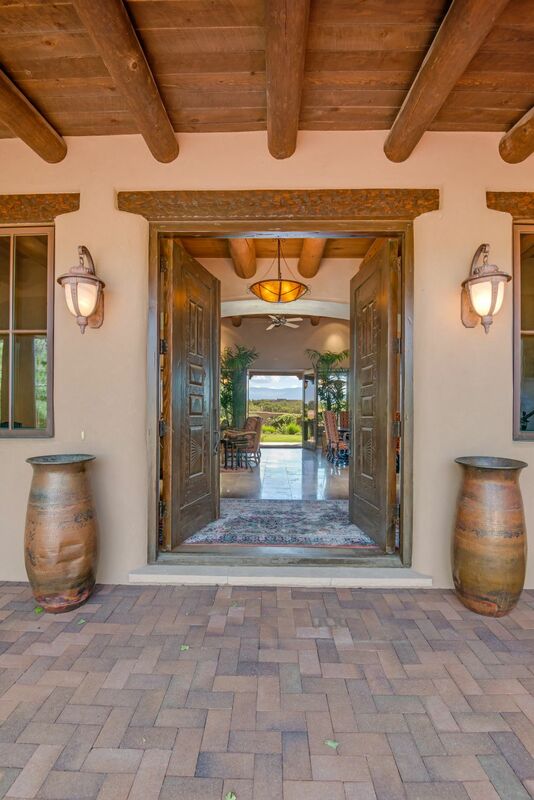 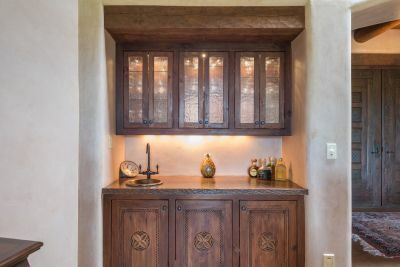 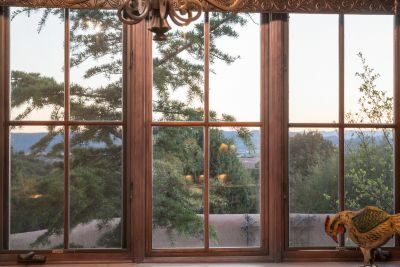 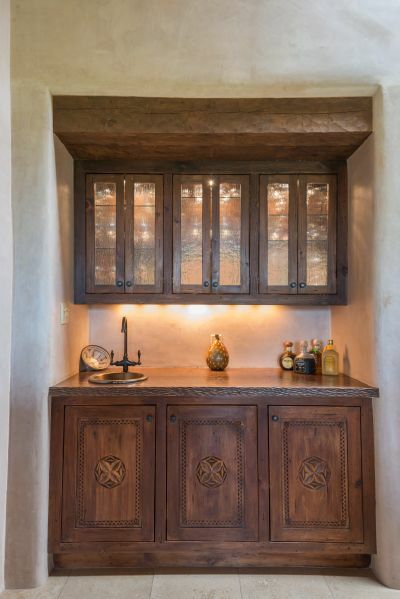 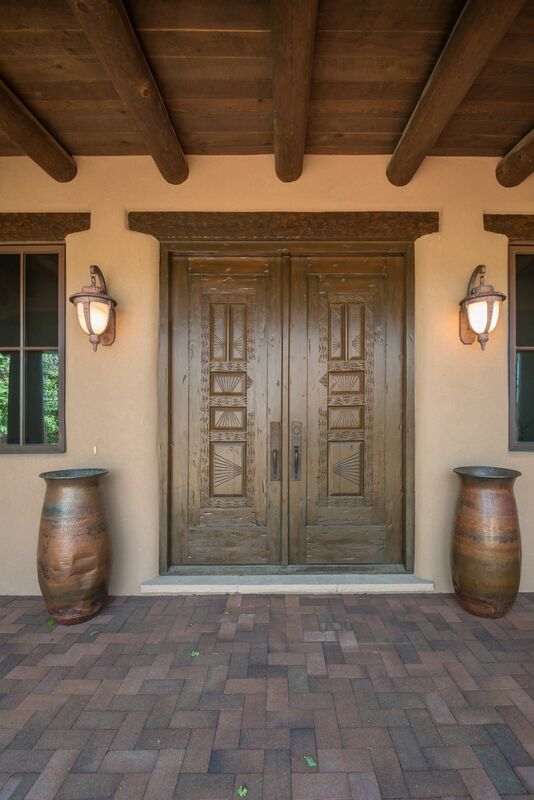 Lavish appointments include stunning copper-clad exterior doors & windows, rich stone & oak floors, exquisite carved cabinetry, magnificent custom doors, & luscious hand troweled plaster. 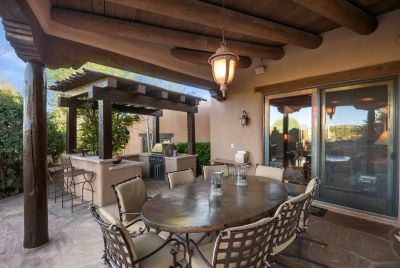 The grand & grill portals make entertaining & al fresco dining a pleasure. 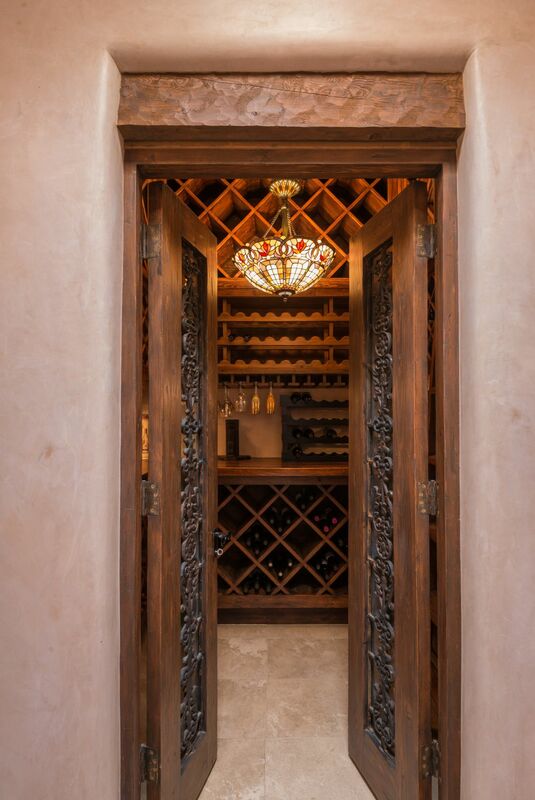 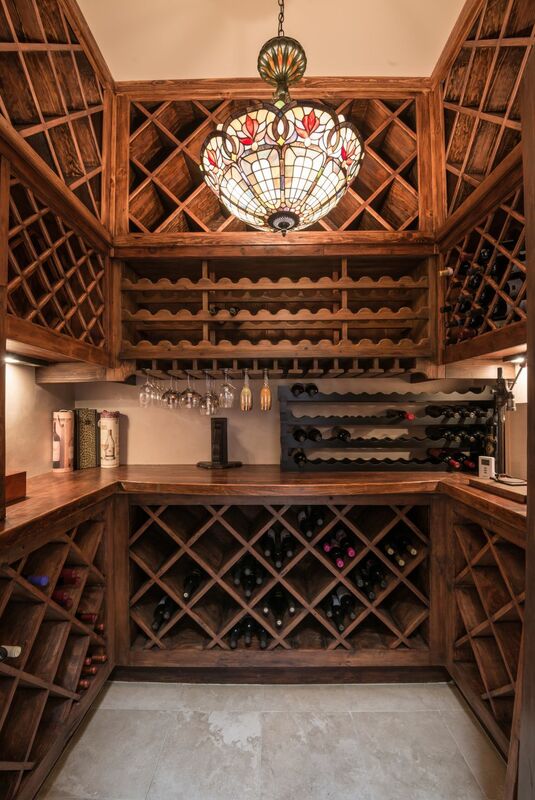 A delightful surprise: an intimate wine-tasting room with custom storage. 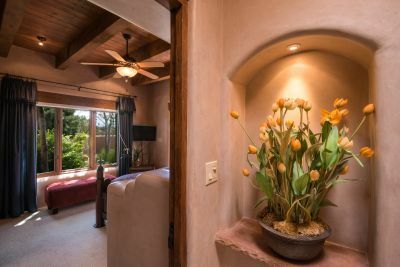 Thick Rastra walls, multiple speakers & 4 fireplaces with natural gas connections. 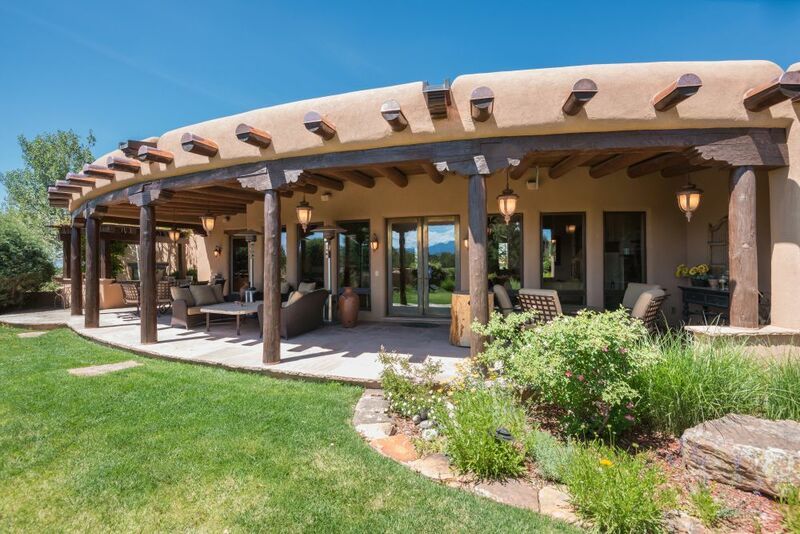 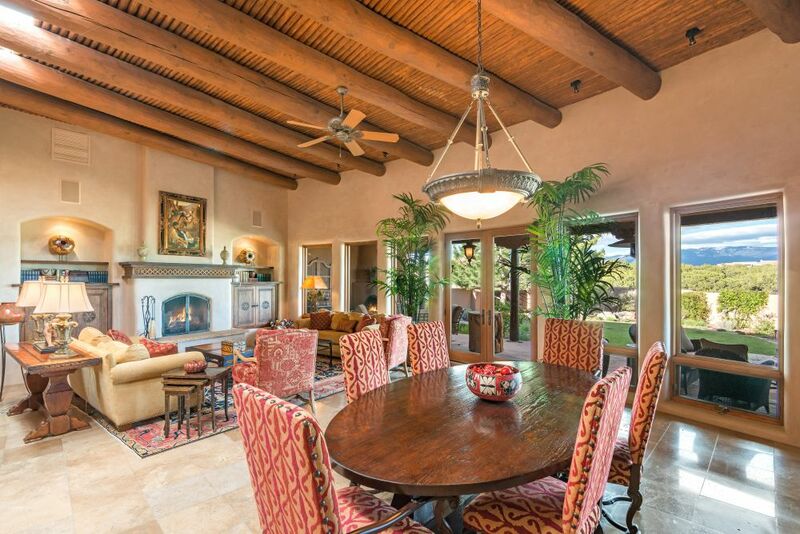 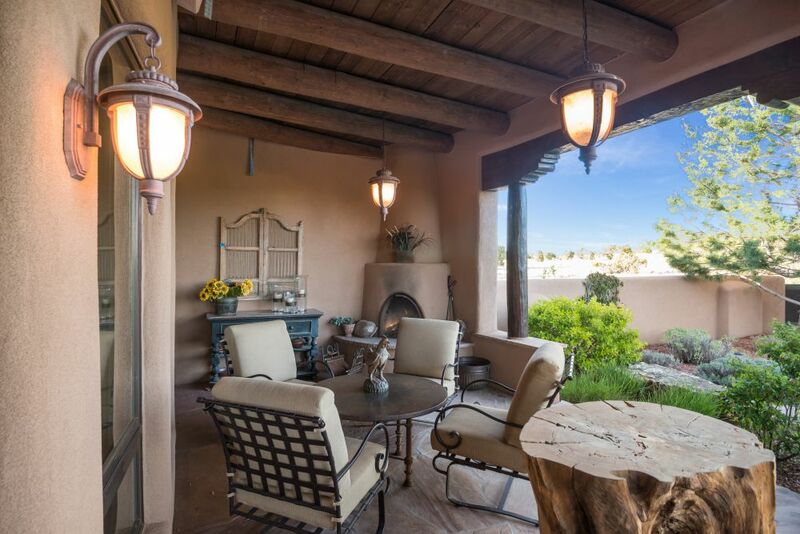 The Club at Las Campanas offers social membership with superb amenities: gym, indoor & outdoor pools, 7 tennis courts, an impressive clubhouse, fine & casual dining, and Equestrian opportunities. 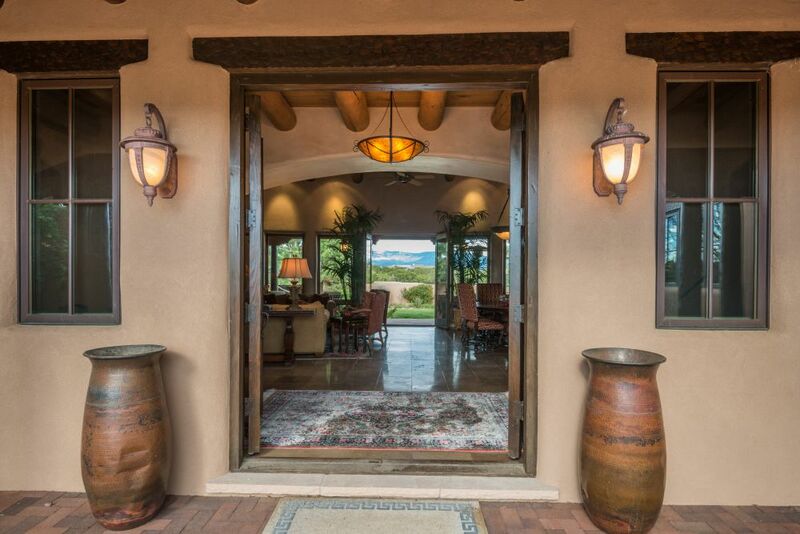 Golf membership option: unlimited use of the 2 Jack Nicklaus Signature courses.